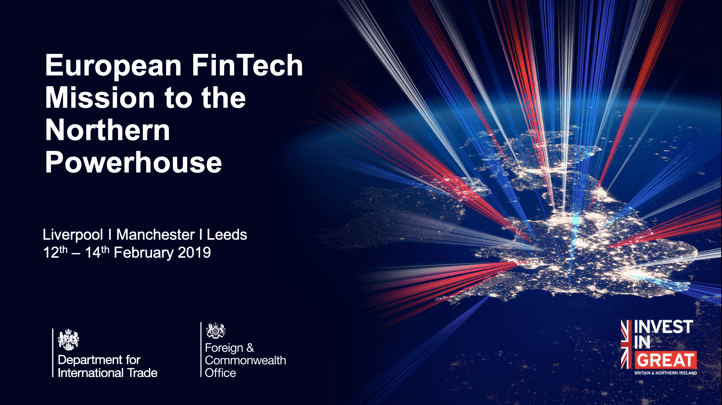 A delegation of 25 established FinTech firms from across Europe is visiting the North of England from February 11th – 14th as part of an International FinTech Mission organised by the Department for International Trade and Foreign & Commonwealth Office, financed with Northern Powerhouse prosperity funding. Over 80 firms applied to take part, leading to the size of the visiting party being increased to cater for the strong demand. The delegation, which is drawn from eight different countries, is comprised of established FinTech firms from a range of sectors including payments, banking, insurance, lending, savings and investments, data and analytics, artificial intelligence, data security, and aggregation services. Each day of the mission will include a conference attended by up to 150 guests. Delegates will hear presentations from senior representatives of over 20 established UK organisations including CYBG, First Direct, HSBC, Barclays, Nationwide, AJ Bell, Computershare, Lowell Group, and IBM. The events will include a ‘reverse pitch’ format where the visiting FinTechs and UK organisations will pitch to each other, with the objective of identifying areas of interest and potential collaboration. It is the third FinTech delegation to make such a visit in the last 18 months. 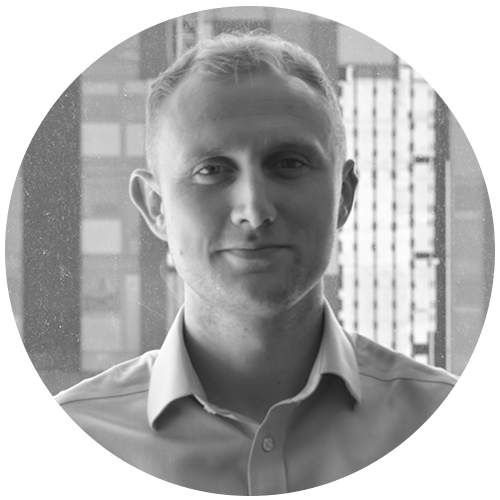 Each mission has been coordinated by Whitecap Consulting, who have also worked in partnership with Invest Liverpool, Midas and Leeds City Region LEP in planning the programmes for each mission. “The UK is Europe’s FinTech capital thanks to a highly-skilled and creative workforce. I’m delighted that this success is attracting strong interest from overseas. “It’s also great to see the Northern Powerhouse punching above its weight in this sector, playing an increasingly important role outside London. Liverpool’s Financial Services leaders and over 20 international FinTech scale-ups take part in a morning of networking and discussion, sharing ideas and opportunities for collaboration. An unmissable event for anyone looking to develop their relationships, ideas and knowledge of FinTech. In Manchester the group will be hosted at Gateley for an evening event, and will spend a day at Manchester Science Partnerships’ state-of-the-art workspace, the Bright Building. Moving onto Leeds, Barclays will host an evening at AvenueHQ, and the following day will be spent at aql’s Salem Chapel, dubbed the church of technology, a venue that has now been used for all three of the FinTech missions. The International FinTech Mission is being supported by a number of northern-based organisations including AJ Bell, Barclays, Computershare, DLA Piper, Manchester Science Partnerships, the Hartree Centre, and Nexus (University of Leeds). Anyone interested in attending the FinTech North events taking place across the visit can sign up at www.fintechnorth.uk. Further information on opportunities to invest in the United Kingdom can be found at https://invest.great.gov.uk/. Liverpool City Region architects Studio RBA have secured a £20m contract to build an apartment complex in Liverpool’s Baltic Triangle. City planners have approved plans for a new ‘funky’ boutique hotel and ‘student village’ in Liverpool. Liverpool City Region Combined Authority has launched the LCR Production Fund which it is hoped will result in more filming taking place across the city region.